From quite some time, the debate between in-store and online shopping has been in the limelight. Though it is the same product sold via retailer shops and online stores, there are differences of touch-feel experience for the buyers and in discounts and offers. Without any doubt, most online stores offer products at a discounted price as compared to retail stores. Right from making use of most recent in-store technologies to retail marketing analyzing approach, the entire shopping experience of the customers is revamped by both retailers and online sellers. Do you like to decide your dresses by just sitting on a couch and relaxing? Yes, online shopping is a great option, but do you still feel incomplete or unsatisfied before placing an order for the dress as you have not tried it on you? Then it’s time to explore the interactive fitting rooms where you can relax in the store couch and choose your outfits, these will be auto-placed to fitting rooms by store sales associates, you just have to walk into your fitting room and try them to select the best one. 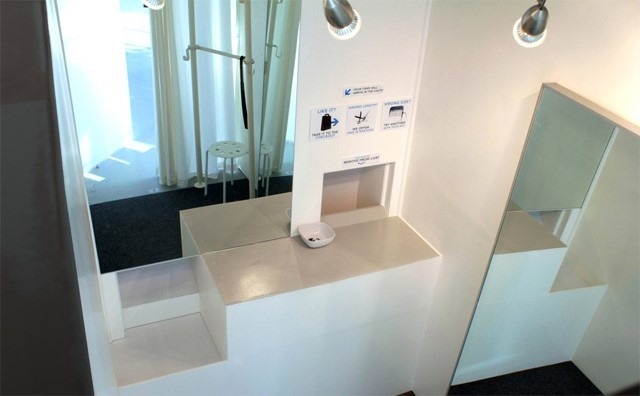 These interactive fitting rooms are smartly designed to give you suggested items list and you can easily narrow down your choice. Your selections will be auto-moved to the checkout department where you can pay and collect your order without any need to walk around the store. Example: Macy’s have tried this out for their women’s swimsuit section at their California Beach store. Customers use smartphones and tablets to choose the dresses they want to try on and they get auto delivered to the fitting room. And is the size a misfit for you? Well, the next size is just a click away. Customers do not need to step out of the fitting room at any point. Well, this one takes window shopping to the very next level. One of the best and mostly accepted concepts among retailers is displaying their products on the Storefront windows. It does not just attract customers to purchase but also helps in familiarizing the brands for many window shoppers. Making them interactive and digital gives more in-depth experience to the shoppers. It mainly helps shoppers to scan and helps decide whether they want to purchase products or not, even without entering the store. It is a great herculean task for retailers to ensure the best and attractive products are displayed in the storefront windows and to keep changing them physically. Now, all of this happens in just a few clicks. Apart from the product itself, these windows will create brand awareness with aesthetically pleasing, entertaining and interactive features like videos. Example: Adidas has jumped on to the retail innovation bandwagon quite early and have been inspiring other stores to do the same. 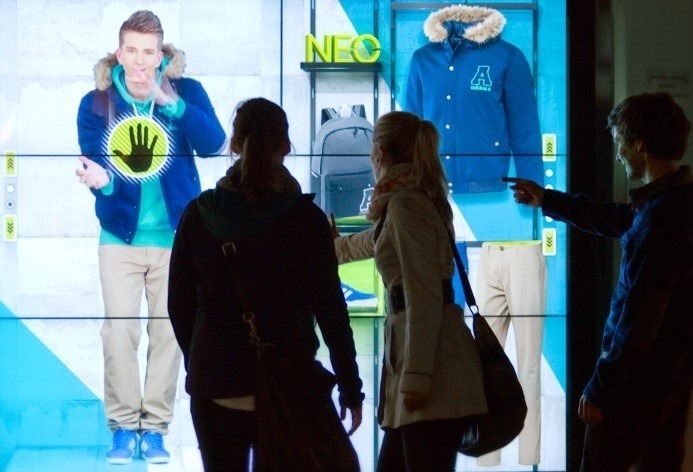 They have introduced digital interactive windows in many of their stores. Buyers can see life-like products displayed one the digital storefront window and even select the mannequin to get the product details. Yes, it’s no more a dream. No more standing in the line at the trial room with your hands and shoulders full of clothes to be tried on. It is true that inventions and innovations are all directed towards making people lazier. There are lots of websites and stores out there that offer virtual dressing facility. You can create a virtual figure of your body type that can be saved in the store shopping tool. Anytime you wish to shop dresses or apparels from this store, you can try the same on the virtual figure to decide the size and fittings. This will help you to shop apparels in a much easier manner, without any second thought of its fittings and design. 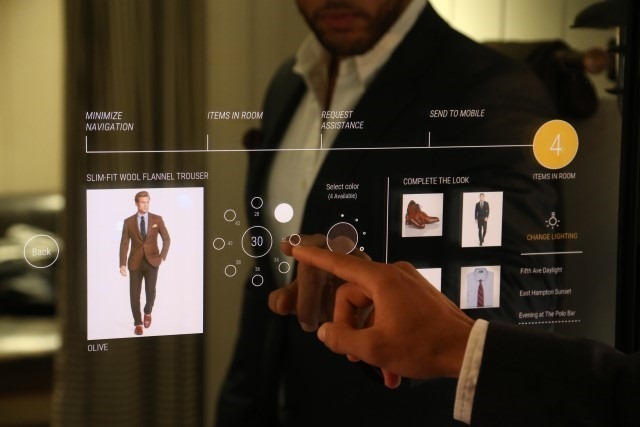 Example: Polo Ralph Lauren’s Oak Fitting Room had made big news for its smart virtual mirror. Even Burberry store in London is famous for bringing out the very same innovation in retail. Pop stores in High Street, London and stores in the London airport are all set to offer the much-awaited virtual dressing facility for its buyers. How about finding a retail store that always has stock of items you are looking for? That’s right, why would anyone look for other options if you can find all you need at a one-stop shop. 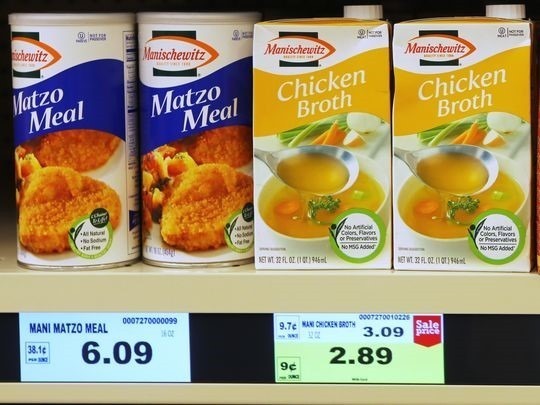 A RFID reader equipped shelf is smart enough to track the product movement and stock size, it then alerts the retailer to re-fill the stock immediately if it falls below the minimum requirement quantity. By this there is no loss of customers due to lack of stock, also helps the retailer to stock the right amount of products and can track the fast moving ones. Examples: Compared to the above innovations, this one is harder and takes much longer time to implement. Most retail stores are in testing phase of using Smart Shelves. Kroger tested the same for their store in Cold Spring and is all set to do further testing. Wal-Mart and Gillette is preparing to run a Smart Shelves test for its specific section in Wal-Mart. Many sellers are making use of these tricks for customer satisfaction and retention. Through these, everything is in your finger tip when it comes to shopping whether through in-store or online, thus the debate between these will not have a one-single solution. It is essential to keep in mind each customer has unique choices and unique ways of shopping! Author Bio: Abhishek Agarwal, a BITS Pilani Graduate, is CEO & founder of Ohoshop, offering retail mobile app for ecommerce businesses. He is constantly been part of marketing team and worked in previous ventures like MobiCommerce (Magento based extension) and Design’N’Buy Web to Print Ltd (Software Solutions Provider for Printing Industry). He has continuous zeal for exploring new segments of technology and innate desire to work towards betterment of them so that common people can utilize them. Connect with him on Twitter. "How Retail Technology is Bridging the Gap between In-Store vs. Online Shopping", 5 out of 5 based on 1 ratings.